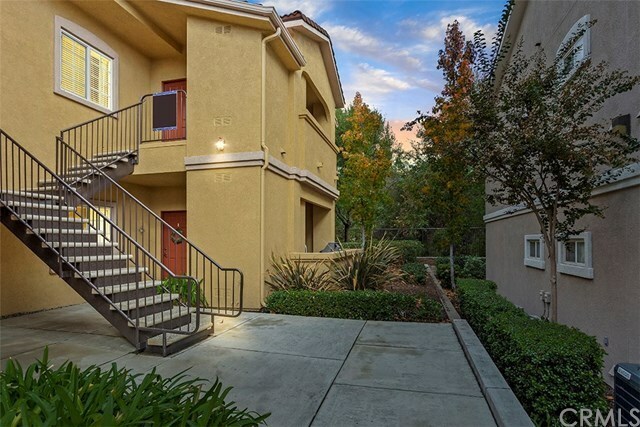 Ideally located in west Murrieta, this home is within The Reserves community at Madison Park- a gated community featuring well appointed condominiums, community pool, spa, and parks. 41410 Juniper Street #324 is a beautiful MOVE IN READY home surrounded by lush landscaping and foliage. An elevated upper unit with open layout- you will be greeted with a bright open space as you enter into the living room. Designed for entertaining, the living room flows effortlessly into the dining room and open kitchen. The Master suite is a true retreat with its own connecting master bathroom, and a large walk in closet! Take the family over to the community clubhouse, fitness center and park all at your convenience. Come see how this home could be a great option for you as a primary residence or as an investment!